New York WILD in the New York Times! 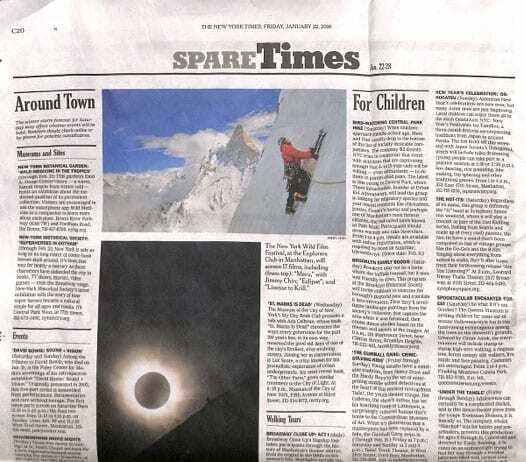 We were thrilled to see how much space New York WILD and its films got in the New York Times “Spare Times” section! See more of the article from The New York Times.